Jakarta: With reference to the Progress Report of NAM CSSTC 2017 delivered to the Chair of the Non-Aligned Movement Coordinating Bureau, NAM CSSTC requested the Chair to include the NAM CSSTC in the list of the observer international organisations for NAM. 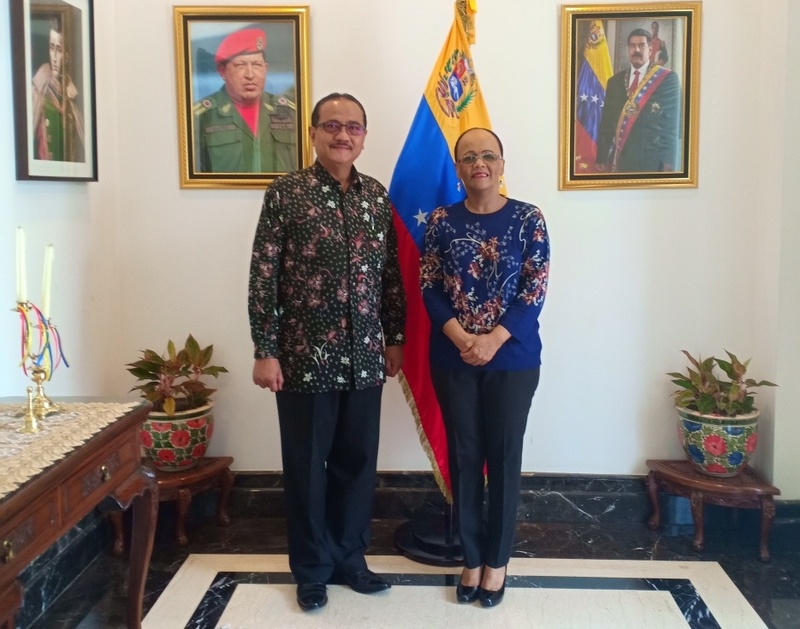 The statement was emphasised by Director for NAM CSSTC Ambassador Ronny Prasetyo Yuliantoro during Courtesy Call to Chair of NAM, Ambassador of Venezuela to Indonesia, Gladys F. Urbaneja Duran in Jakarta (3/8). The Courtesy Call was conducted to discuss Meeting at NAM Coordinating Bureau in New York, USA. 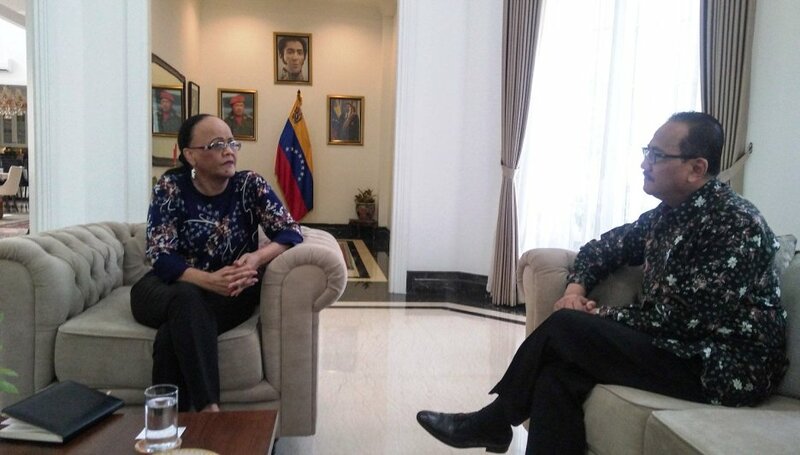 In the occasion, Ambassador Ronny also requested advice on developing cooperation with the International Fund for Agricultural Development (IFAD), considering Venezuela’s connection with the organisation. To the Ambassador, NAM CSSTC Director expressed initiative to conduct a programme in Venezuela on, among others, rural development which specifically focuses on renewable energy and Small and Medium Enterprise (SME). In response, Ambassador of Venezuela invited the NAM CSSTC to visit IFAD Secretariat to promote joint cooperation while submitting summary of implemented programmes since 2001. She acknowledged the importance of capacity-building activities to developing countries and that the opportunity was a good moment to renew ideas. Ambassador of Venezuela also stated that the Government of Venezuela and the Governing Council of NAM CSSTC should be on the same page in terms of support to South-South Cooperation. Previously, NAM CSSTC invited the Ambassador to become a resource person in the Village Development Forum (VDF) held in 2017 in Jakarta.